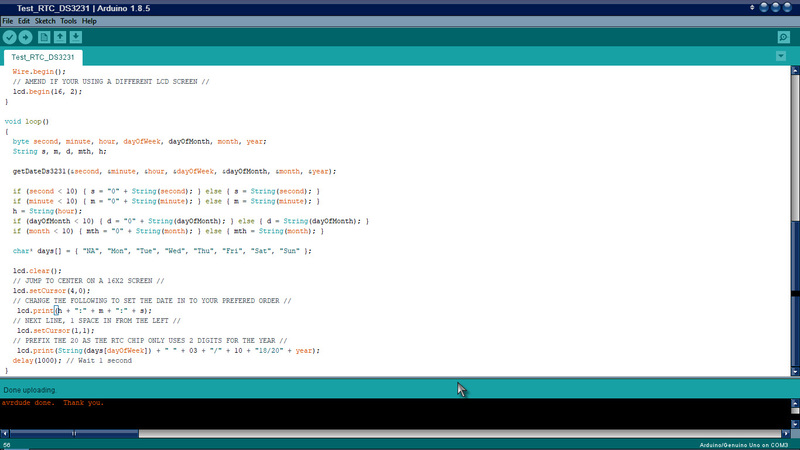 The code is based on C++ and I'm so new to it that I squeak, lol. Anyway, I'm using a microcontroller called an Arduino Uno. This thing is a trip! From home automation to remote control for drones robots etc. I have several programs or sketches, already set up for a workstation I'm building. The reason for this post is a question. If anyone is familiar with C++ have a look at the last few lines of the code where the time is set. I don't know what I did wrong. The second pic is the time I got on an LCD. Any help will be greatly appreciated. More to follow. 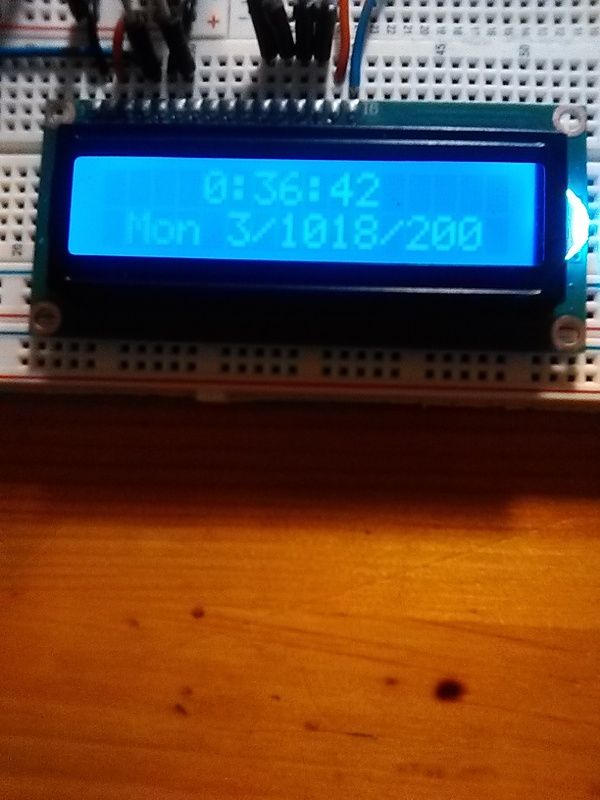 I solved the problem by uploading another sketch to reset the RTC (real time clock). Seems my changes to set the time in the first sketch kinda screwed it up. Took me a little bit but the time is now almost two minutes fast. Good enough. For now anyway. Did the google thing and found the solution. So, where is this all heading. 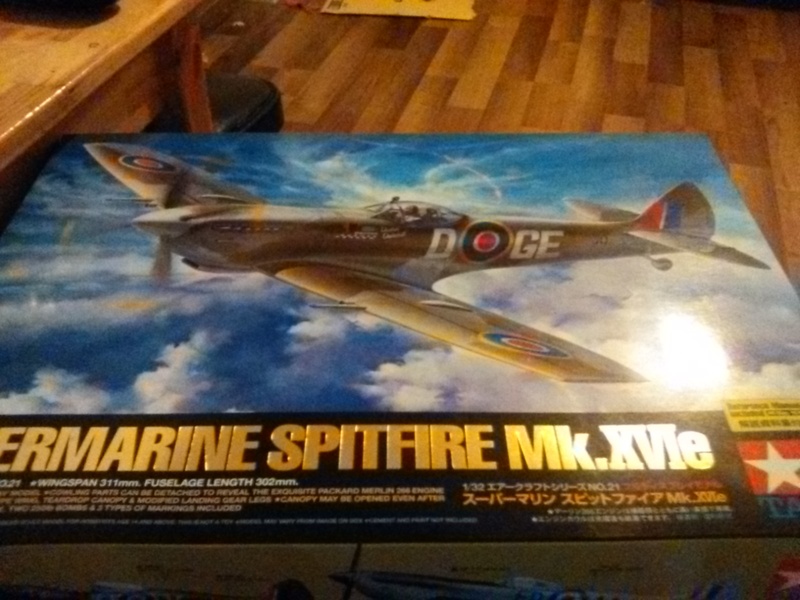 Lets see if someone will take an interest. I think it is great that you are getting back to something you love. It is like reading a book, not a Kindle, but a real book. So what exactly is it you are building? 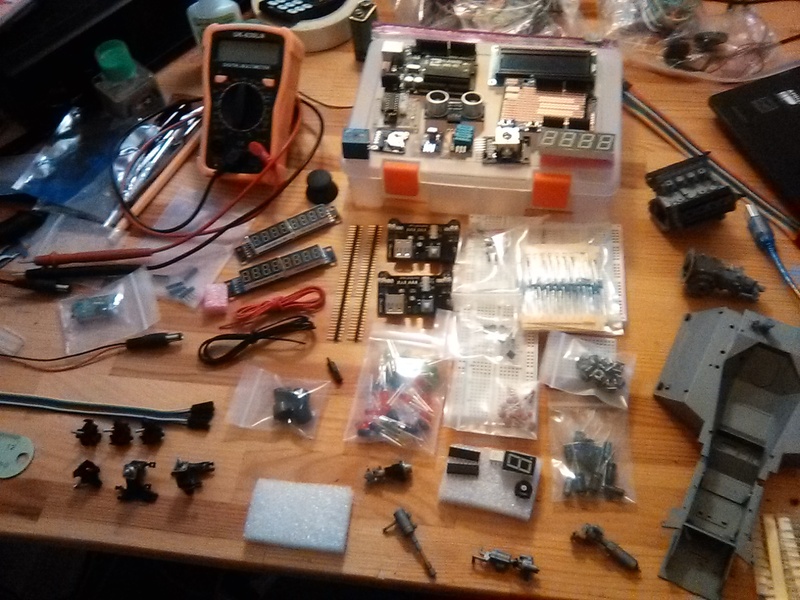 I'm building first a work station consisting of a variable power supply, DIY kits for an oscilloscope and function generator. 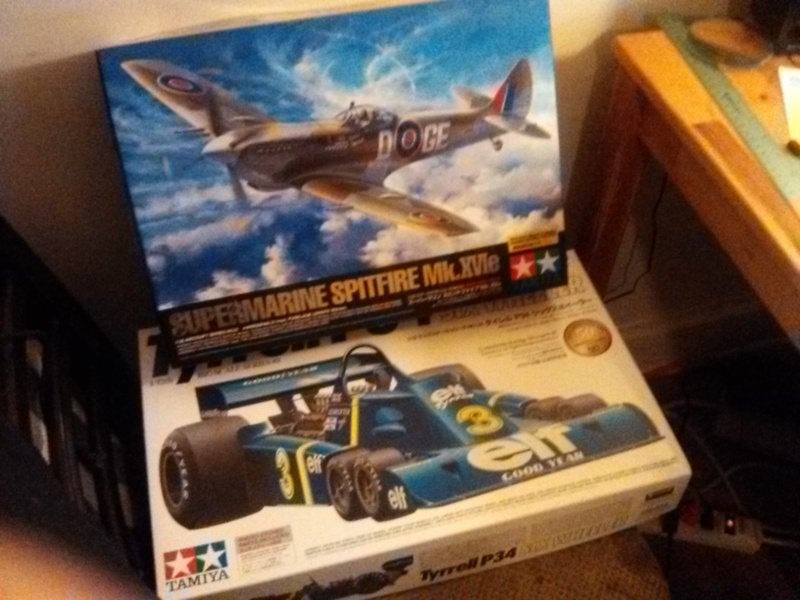 All that to test different light patterns for a display case for the Spitfire and the six-wheel P-34 Indy car. I made a small video with my phone but I can't upload it here. Is there a way to do that without first going to youtube. I think you have to upload to utube first, then you can show it in this thread. Sounds kool !! Barb mouse over the image above. A different arrangement. Hard to see but look on the right. The four LEDs will be used as a binary control for a series of counter circuits.